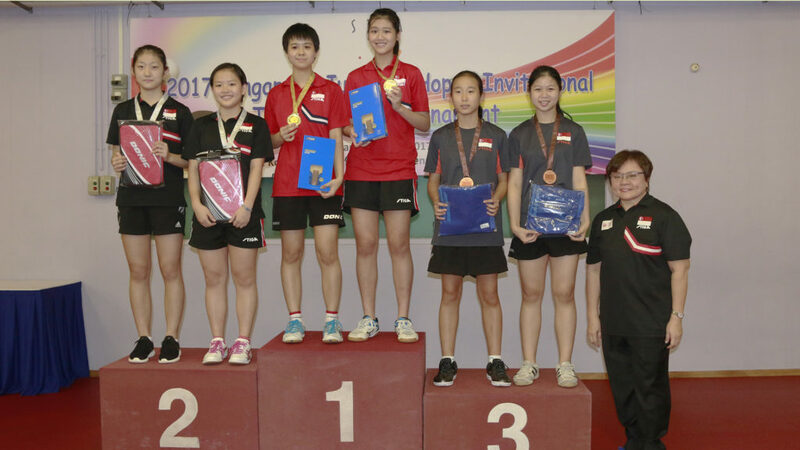 Organised to celebrate the forthcoming World Table Tennis Day, the official date being Thursday 6th April, the Lee Kong Chian Toa Payoh National Training Centre was the recent home for the 2017 Singapore Junior and Hopes Invitational Tournament. Play commenced on Friday 31st March and concluded on Sunday 2nd April. “Developing the next generation of talent in table tennis” was the theme for the three days. Impressively over 100 young players participated; in addition to Indonesia there were competitors from China, Chinese Taipei, Japan, Indonesia and Malaysia. Boys’ Team: Junior Category (Age 18 & Under): Team Singapore ‘A’ (Gerald Yu Zong Jun / Beh Kun Ting.